When it comes to Green Bay Packers stuff, these customized bar signs really stand out! Bring your name and the Green Bay Packers logo together to create officially licensed NFL fan merchandise. When it comes to Green Bay Packers stuff, these customized bar signs really stand out! Bring your name and the Green Bay Packers logo together to create officially licensed NFL fan merchandise that is truly one-of-a-kind! With a frame that looks great anywhere, this matte finished print makes an incredible gift for any Packers fan! Create your own or treat the Green Bay football lover in your life to something extra special. My brother has been a Green Bay Packers fan since the mid-60s, their early glory days with Vince Lombardi, Bart Starr, Paul Hornung, Ray Nitschke, etc. He is even a shareholder. 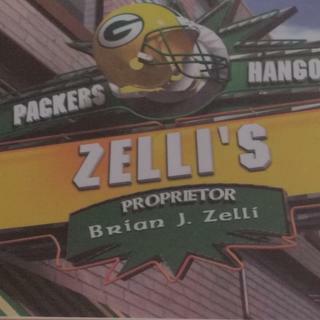 My personalized photo of the Green Bay Packers bar just arrived and I can't be more thrilled. It is much better [ and larger ] than I expected ! THIS IS THE PERFECT GIFT FOR OUR FRIENDS THAT JUST FINISHED THEIR BASEMENT BAR!